The Pensacola State College Barbering Club will host a Cut-A-Thon from 10 a.m.-4 p.m. Saturday, June 30. The event will be held in the Cosmetology Salon, Building 12, on the Pensacola campus. 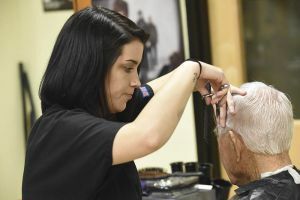 Pensacola State barbering students will offer men’s, ladies’ and children’s haircuts on a first-come, first-served basis. The haircuts are free but donations will be accepted, with all proceeds going to the barbering club. For more information about the Cut-A-Thon, call Wanda Smith at 850-776-7908.